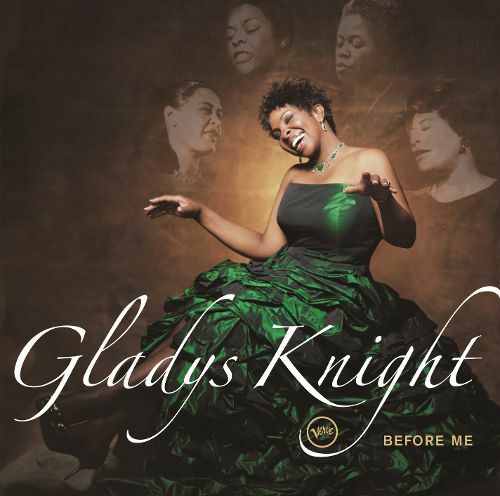 Before Me is an album by Gladys Knight, released in 2006. Gladys Maria Knight (born May 28, 1944), known as the “Empress of Soul”, is an American singer, songwriter, actress, businesswoman, humanitarian and author. A seven-time Grammy Award-winner, Knight is best known for the hits she recorded during the 1960s, 1970s, and 1980s, for both the Motown and Buddah Records labels, with her group Gladys Knight & the Pips, which included her brother Merald “Bubba” Knight and her cousins Edward Patten and William Guest.